This blog was created on 16 January 2018. 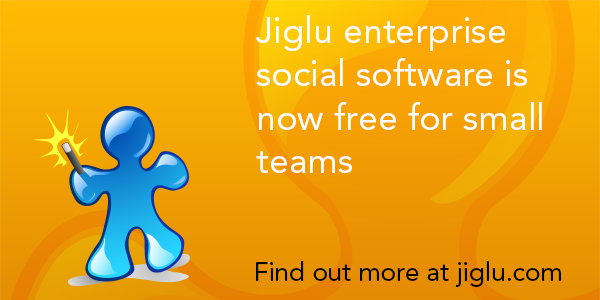 It's the last release of 2018, a year in which I feel we've made huge strides with Jiglu - a better user experience, the latest technologies and all the features you'd expect in a modern collaboration suite. Virus scanner integration, so attachments and other shared documents get checked before they are made available for download. Auditing improvements and a new email newsletter for administrators that summarises important changes to the system that they should know about. Retention improvements, so everything contributed can always be kept with inappropriate content withdrawn from viewing rather than deleted. Categories for groups, so they can easily be flagged with internal security access levels. 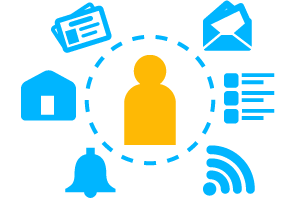 Invitations that let you pre-select multiple groups a user will be joined to when they register with a one-time token, making administrator workflow easier and eliminating the need to ever distribute passwords. 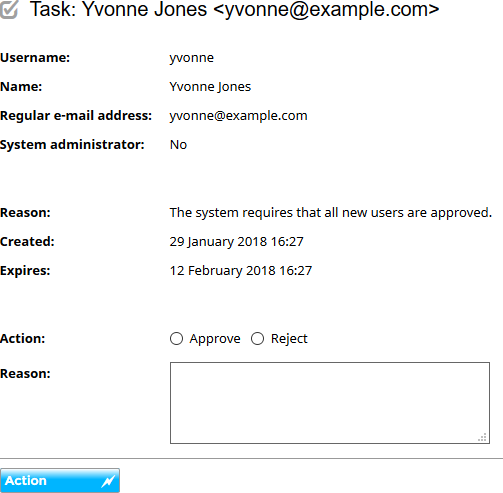 Improvements to automated workflow so users can make changes themselves but administrators can quickly approve them when necessary. There have also been lots of minor enhancements for end users and some performance improvements too. Written by Stephen Hebditch. Published on Wednesday, 19 December 2018 at 10:40 . The biggest change is the ability to now configure an LDAP user directory through Jiglu's web interface rather than needing to edit a configuration file. Now all but the lowest-level settings can be managed through the web, making it easier than ever to get started with a cloud-hosted system. There's also a small number of new features that round out the collaboration functionality, including easier embedding of videos and being able to find holes in the knowledge wiki that ought to be filled. Written by Stephen Hebditch. Published on Monday, 3 September 2018 at 09:46 . 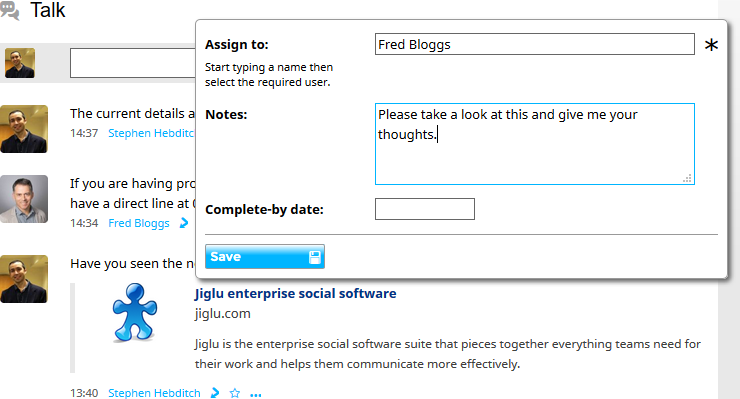 We're pleased to announce the full release of Jiglu 10.5. The biggest improvements in this release are to threaded discussions. 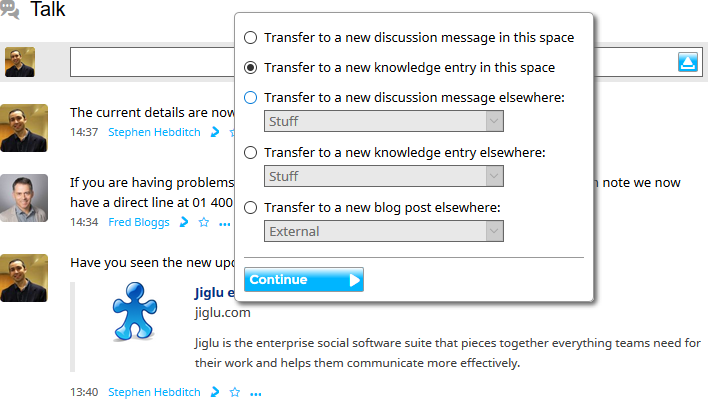 Jiglu now keeps track of which threads users have read, so it can flag those with new messages, and allows administrators to split threads as well as merge them. We also improved the handling of large attachments when they are sent out on email, particularly for people who have opted to receive daily digests rather than individual messages. Written by Stephen Hebditch. Published on Thursday, 10 May 2018 at 12:34 .